Gone are the days of heavy wood frames and plywood decks which had to be screwed together with power drill. Hardside waterbeds can be beautiful and durable but are definitely harder to install! 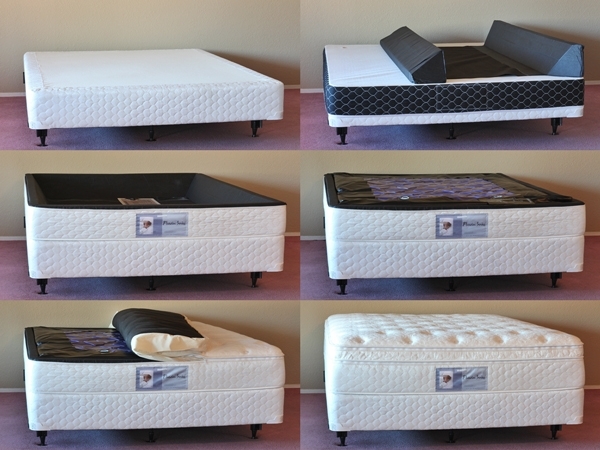 Our soft side waterbeds are very easy to install and take little time. Easy to understand instructions come from the manufacturer. The beds are shipped as components and these components easily fit together. No tools required, you’ll just need a garden hose to fill the mattress!